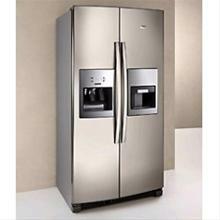 Cody’s Appliance Repair proudly repairs all Admiral appliances. Our experienced technicians provide expert Admiral appliance repair for the full spectrum of Admiral appliances including Refrigerators, Washers, Dryers, and more. Call today! Our Admiral appliance repair technicians can be out today (if scheduled before 12:00 pm) to get you up and running! Our Admiral repair technicians are background, drug, and alcohol tested for your safety and security. We also undergo continual training on most brands to ensure that we are kept up-to-date on all the advancements in technology! We offer an extensive warranty! Our warranty includes: 90 Days on the diagnosis, 1 Year on repair labor, and 3 years on parts. Did you know? Admiral was founded in 1934 in Chicago. They started by manufacturing phonographs and radio equipment. During World War II they supplied the U.S. military with electronic equipment, and they were one of the major television manufacturers in the early era of television manufacturing. Admiral appliance is currently owned by the Whirlpool Corporation, and is now sold exclusively in Home Depot stores. If you live in Boise, Eagle, Meridian, Nampa, Caldwell, Star, Middleton, Emmett, Kuna, Garden City, or Horse Shoe Bend, call us today at (208) 938-1066. You can even schedule right here online or contact us with your questions. We are here to help!